The Ammeter provides an overview of the entire electric system, signifying to the user whether the system is charging or draining the battery charge. 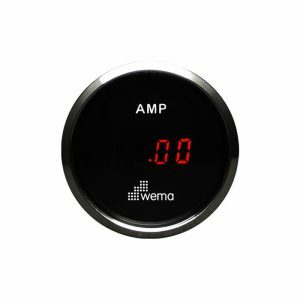 Share the post "Digital Ammeter Stainless Steel 52mm"
Amp Meter or Ammeter gauges are designed for measuring current charge and/or discharge. 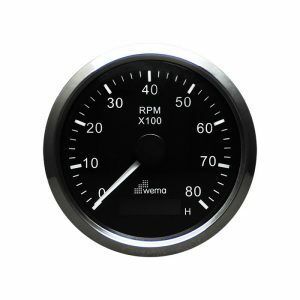 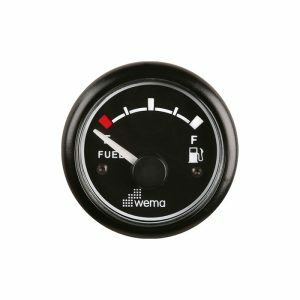 Wema produces a digital shunt version which eliminates the need for routing heavy wiring to the instrument panel. 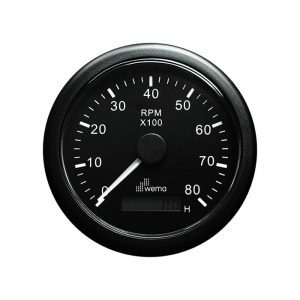 The shunt utilises Hall-Effect technology for simplicity and economy. 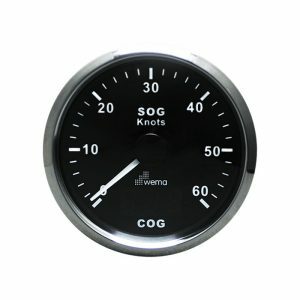 Supplied in kit form and designed to complement their digital voltmeters.